Imaginative cocktails have been developed for each of the five specially-themed nights of NightFest. Photos: Supplied by Underground Spirits. 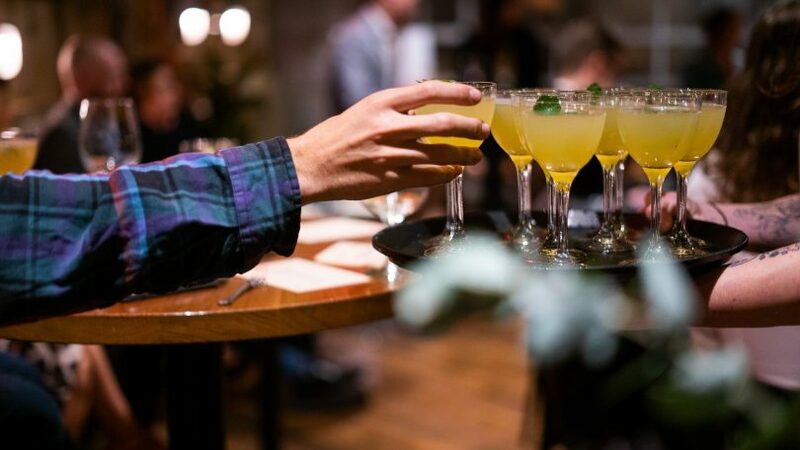 This year’s NightFest is taking on a sophisticated new twist with imaginative cocktails specifically developed for each of the five specially-themed nights of the event. Floriade’s first spirits partner, Underground Spirits, will be creating the pop culture-themed cocktails at its cool pop-up bar located in the Stage 88 precinct every night of NightFest – from Wednesday, September 26 to Sunday, September 30. 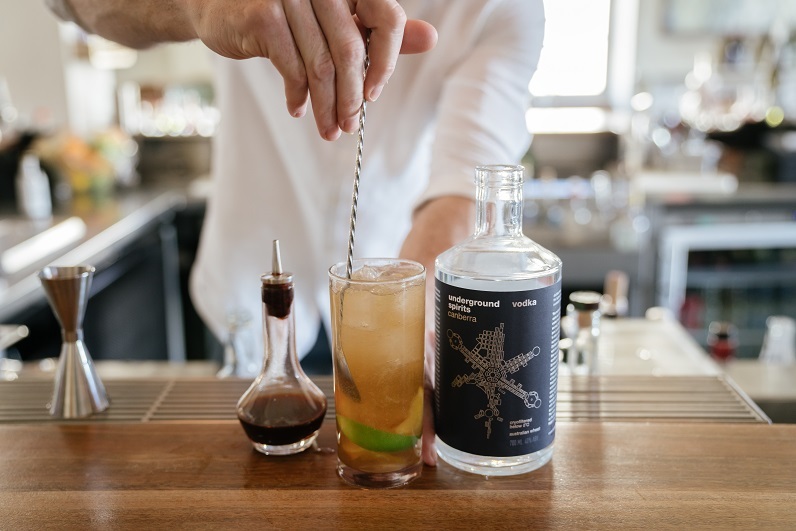 Fittingly named ‘Underground Cocktails and Dreams’ the bar will serve up cocktails featuring the refreshing gins and vodkas the Canberra distillery is making a name for on the international map. “Underground Spirits will bring a taste of our home-grown Canberran distillery onsite to Floriade,” said Underground Spirits founder, Dr Toby Angstmann. 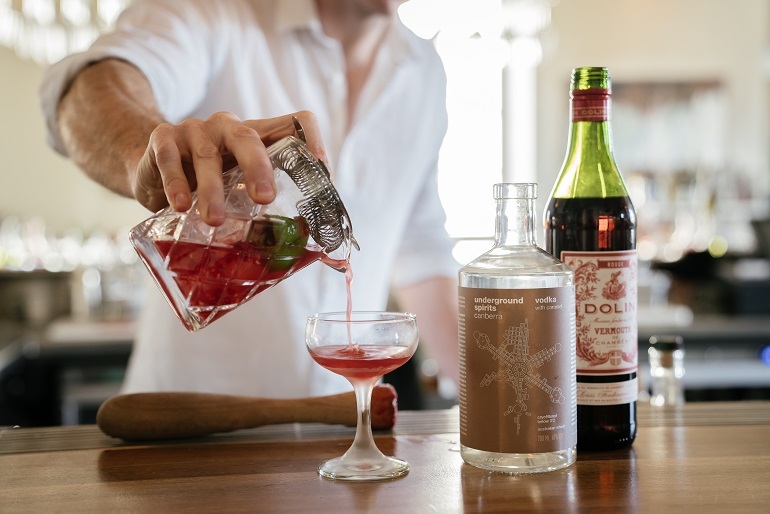 “Visitors to Floriade’s NightFest can visit our cool pop-up bar to enjoy pop culture-themed cocktails, chatting with the distiller and our team, interactive workshops to learn more about gin, and discover our truly innovative spirits brand – the spirit of Canberra,” he said. The ‘Underground Cocktails and Dreams’ bar will serve up cocktails featuring gins and vodkas. “As NightFest is themed each night to movies, music, party and comedy, visitors to our bar will enjoy cocktails such as Flux Capacitor made with Underground vodka, the Phil Collins, our variation on the Tom Collins made with Underground gin, and The Heckler made with our Shiraz and Pepperberry Gin. “Coffee lovers can get their fix on music night with the Ziggy Stardust featuring our new Vodka with Cold Brew Coffee, a collaboration with local premium coffee house, Bellerophon Coffee. Visitors to this year’s NightFest can wander through the mesmerising Nautalis Forest with its spiralling trees that ripple and pulse with colour. Wednesday night (September 26) has a movies theme and visitors can grab some popcorn and a blanket as Stage 88 transforms into an open-air cinema showing the ‘80s versions of Back to the Future (PG) at 6:45 pm and Ghostbusters (PG) at 8:45 pm. In keeping with the first movie, Underground Spirits have developed the Flux Capacitor cocktail for the night – featuring vodka and adding another dimension to the film. Thursday night is a music-themed night featuring performances from Lucy Sugerman, Mojo Juju and Thelma Plum. This night is paired with the Phil Collins cocktail featuring gin. Friday night is also a music-themed night, with Bowie Unzipped and Kate Miller-Heidke hitting the stage and the specially-developed Ziggy Stardust cocktail featuring Coffee Vodka. Saturday night is Party NightFest and offers people a chance to belt out iconic 80s tunes and dance moves, dressed in 80s splendour. The special cocktail for the night is Sweet Dreams (Are Made of This) featuring Caramel Vodka. NightFest finishes on Sunday night (September 30) with Akmal Saleh, Arj Barker and more getting people chuckling at MA 15+ Comedy NightFest. The hijinks are appropriately paired with a new cocktail named The Heckler which features Shiraz and Pepperberry Gin. 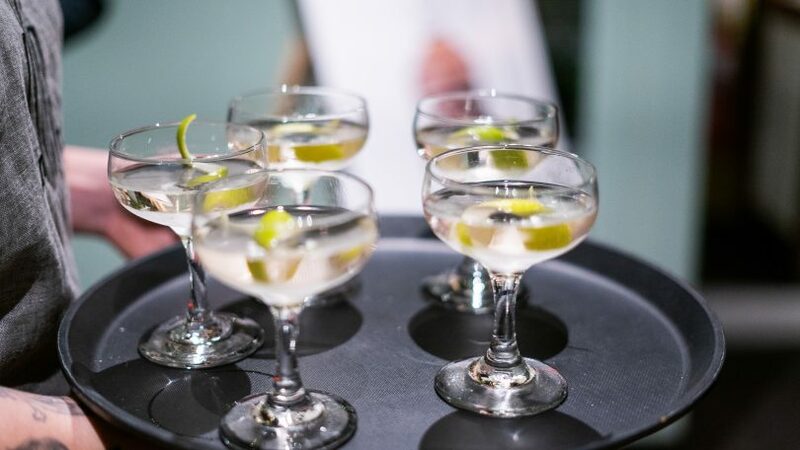 For those wanting to learn how to make their own cocktails, Underground Spirits will also host a range of intimate and interactive cocktail workshops throughout Floriade. Held onsite at The Greenhouse, the ticketed workshops will see visitors meet the Underground Spirits distillers, learn the history of gin, explore Australian botanicals, learn about starting a distillery, find out how to make the perfect Gin & Tonic, discover how to pair gin with food – and enjoy some tastings.